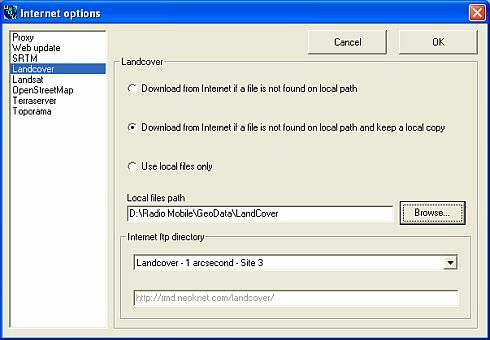 Land Cover data is made available to the Radio Mobile community by volunteers. The path to the directory where you store the data wehn buffered. The [Browse] button will allow you to select a prior created directory. The URL of the data on the web. This is grayed-out when a sourec not Other is selected.